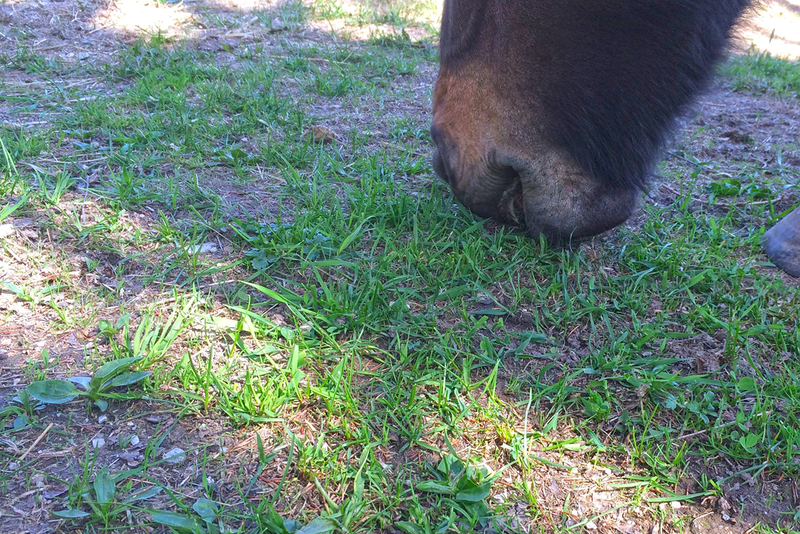 Forage is one of the most important components of your horse’s diet. 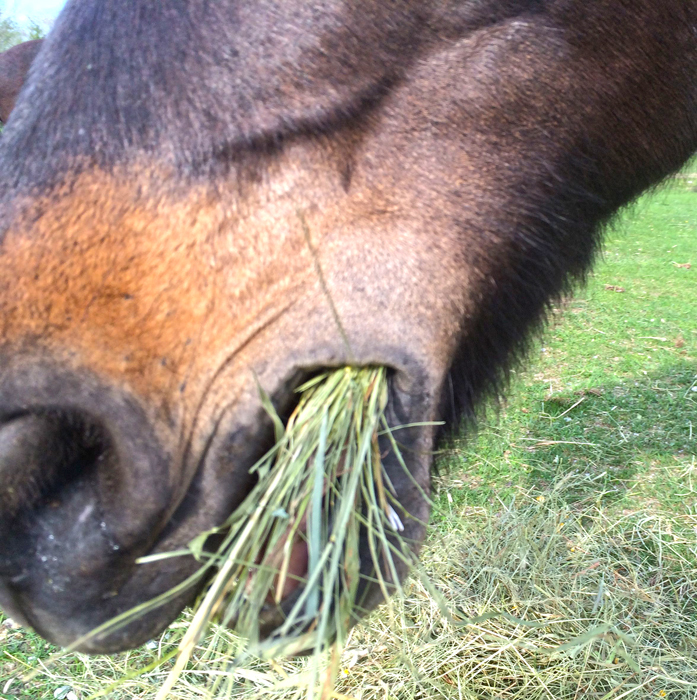 Hay provides most of a domesticated horse’s forage intake. 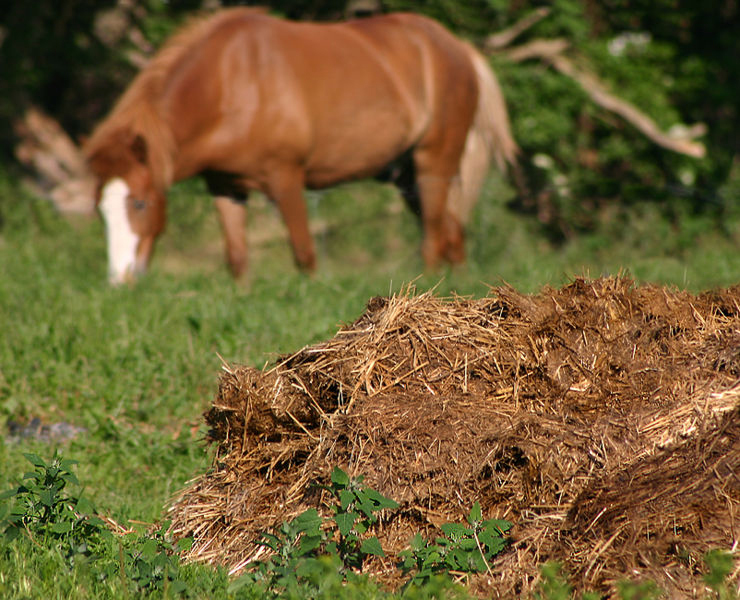 The amount of hay your horse needs every day will depend on the size of your horse and how active he is. 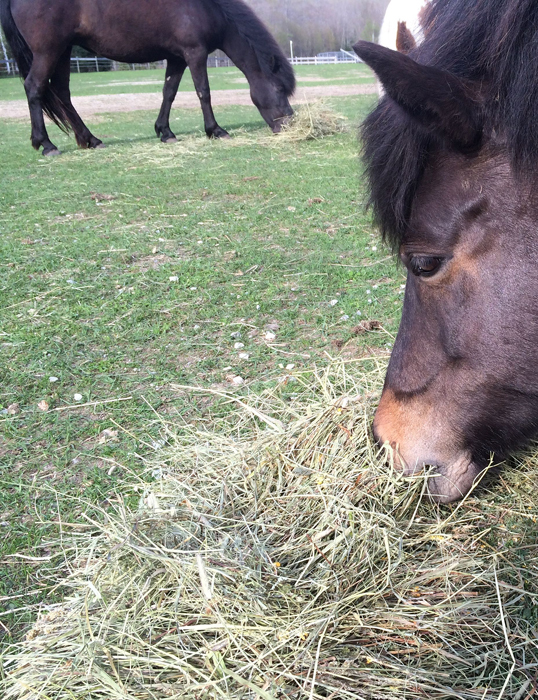 The amount of nutrition that is in the hay also has a crucial role in how much is needed to sustain a healthy animal. In Iceland – grass is often in limited supply – So, the Icelandic learns early in life to munch every blade of grass. One blade at a time – hour after hour! I have watch Perla do just that!!! Hay in – Poop out!!! —– According to the internet questions.com The average horse produces 9 tonsof manure every year. A 1,000 pound horse will deposit approximately 35 pounds of manure daily plus 6-10 gallons of urine.A horse produces about 9 tons of manure per year and 3.5 tons of urine. 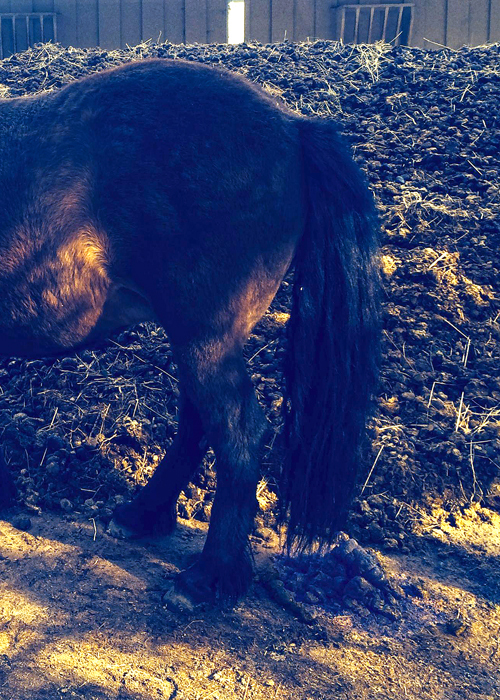 How often does a horse poop? It’s actually a relevant question, so responses such as ‘as often as it needs to’ is a tad silly! As a general rule of thumb a healthy, relaxed horse on a balanced diet will defecate every two hours. Responsible horse owners will need to know this so they can understand how their horses are (health wise). A stressed horse will defecate so they’re ready to run away, it’s a natural instinct! If you’re feeding poor quality feeds / forage again they’ll do a significant amount more / less. Urination is important but difficult to detect, this isn’t something they do when stressed, but either when they need to or if they are sick, generally they urinate 4/5 times in a 24hr period, the liquid will be pale and wont smell too strong of ammonia. Share – No way! My friend in Iceland sent me a digital envelope of hay – It is all mine!! !